The National Association of the Remodeling Industry (NARI) is proud to grant two 2015 Contractor of the Year awards (CotY) to Gregory Sforza of Done Right Remodeling. 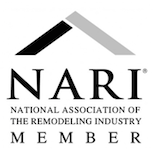 This award is given each year by NARI headquarters to the members who have displayed excellent work through their remodeling efforts. 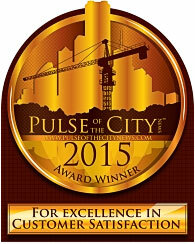 Gregory Sforza has been a Long Island contractor for over 20 years, serving Nassau and Suffolk county. We provide all phases of home improvements, from dormers and additions to bathroom and kitchen remodeling, call us today for a free estimate. Gregory Sforza, President of Done Right Remodeling, appears on the Home Improvement Therapists Show on Madhouse T.V. Gregory Sforza, President of Done Right Remodeling, discusses details of past projects, on Madhouse T.V. Check out my interview, How to Prepare for a Bathroom Remodel on Long Island For Sale, one of the sites for Long Island NY real estate, including Bayside, NY homes for sale. Long Island For Sale also services North Carolina homes for sale and Georgia homes for sale. Here, Greg offers his expertise on the topic of bathroom remodeling with Moen products.